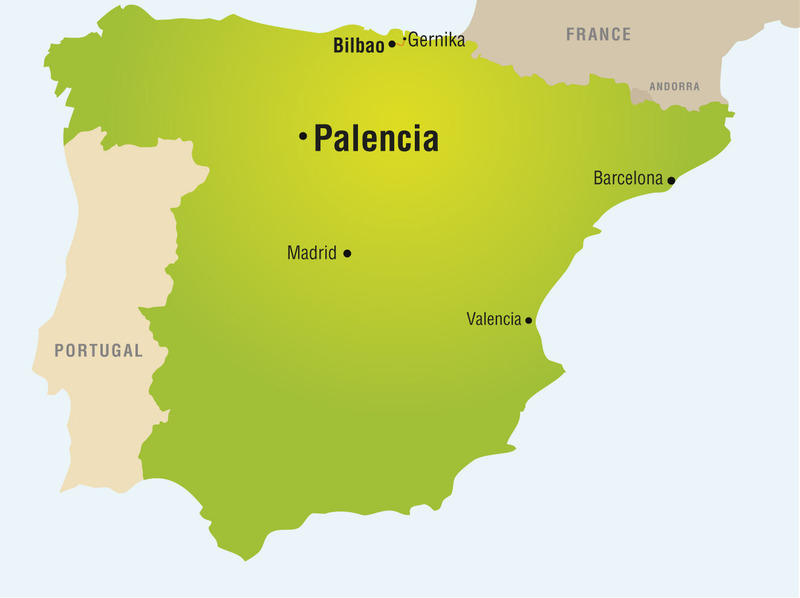 Because the flights are long and Spain is nine hours ahead of the Pacific time zone in which we live, we planned to spend our first three days in Gernika to try to recover before carrying on to Palencia to install our exhibition. 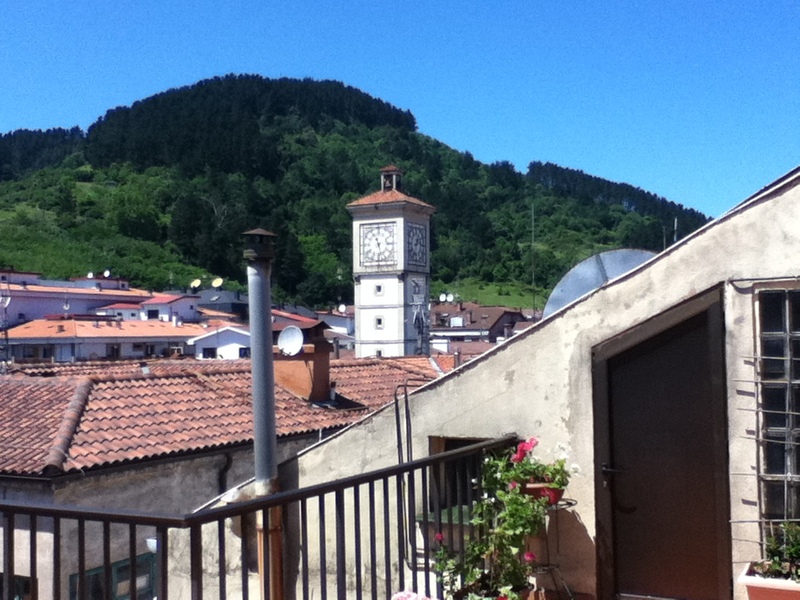 View from the Akelarre pension patio in the heart of Gernika. This time the weather was not as sunny as this earlier photo shows! Claire with her patented jetlag recovery plan in action. An hour by bus or train from Bilbao, Gernika is a lovely Basque town almost entirely rebuilt after Hitler’s Condor Legion bombed it in support of Franco in 1937 – commemorated by Picasso in his mural. 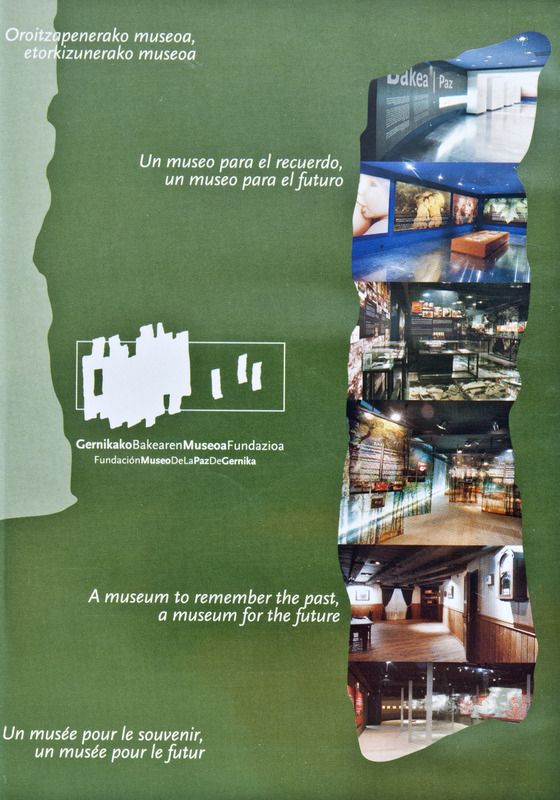 To absorb all of the Gernika Peace Museum takes at least a full day. I recommend taking a walk or going for pintxos to debrief between the exhibits on each floor. A powerful place. Since the museum carries out educational programs, we brought along a copy of Honouring the Truth, Reconciling for the Future, the 388-page summary of the final report of Canada’s Truth and Reconciliation Commission (printed and bound by Publication Studio in Vancouver) to donate to their library. 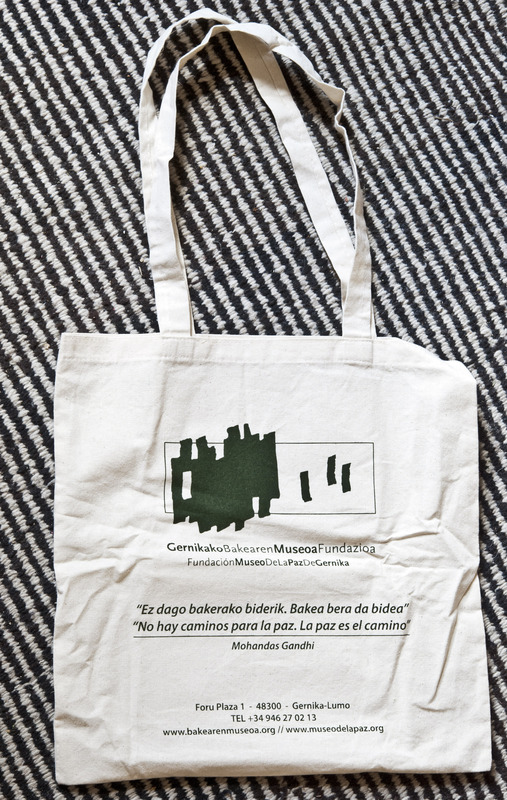 The next day we were pleasantly surprised when the museum staff kindly gave us a gift of one of their printed canvas bags with a museum DVD inside it. 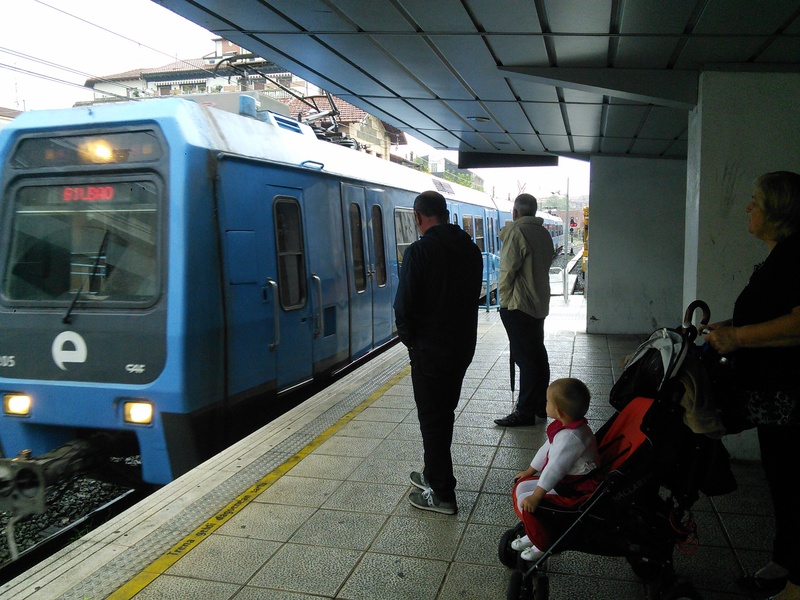 Although rain was soaking the entire Bizkaia region, we embarked on a short excursion from Gernika to Bermeo via Euskotren. 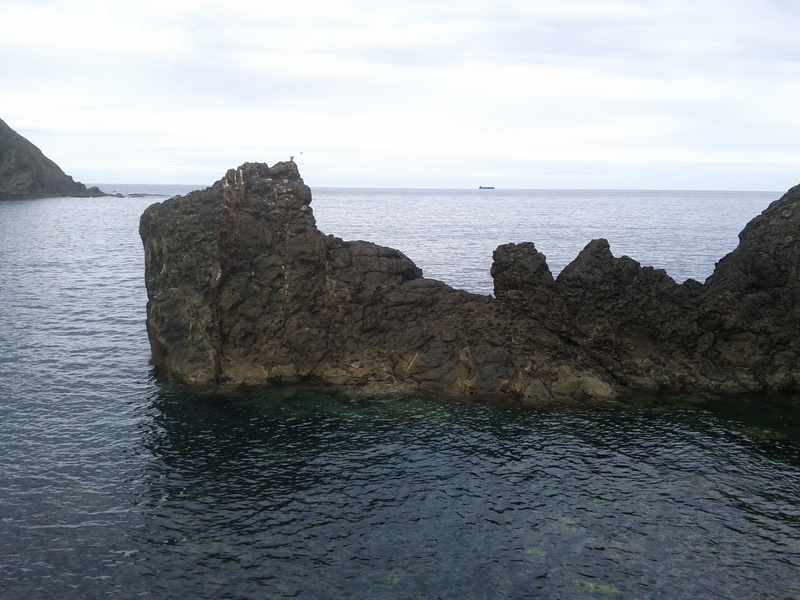 On the advice of Igor at Leogie Taberna, we disembarked at Mundaka and walked the rest of the way. He was right: it’s a lovely stroll along the Basque coastline in the Busturialdea-Urdaibai district, a UNESCO Biosphere Reserve. However, we didn’t realize that we were walking right into Bermeo’s annual rowing contest! Hundreds of people thronged the streets, many in team uniforms, and various vendor booths were set up along the quay. 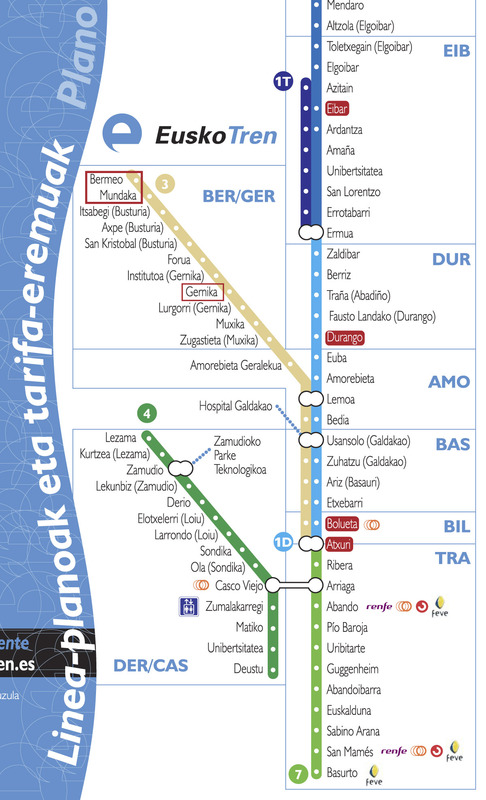 Euskotren lines east from Bilbao, including the Bermeo line. Looking east from the road between Mundaka and Bermeo. 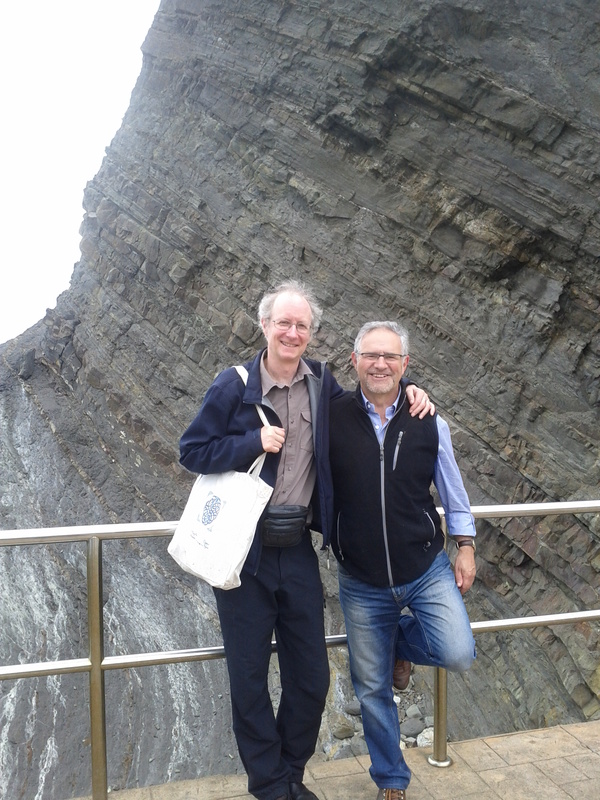 As a surprise for Claire, I had arranged to rendezvous with our friend Alberto Letona, a Basque author who lives in Lemoiz, over the hills to the west of Bermeo. It was lovely to casually walk up to him on the quay and see the delight in Claire’s face as she realized who was approaching us with open arms! 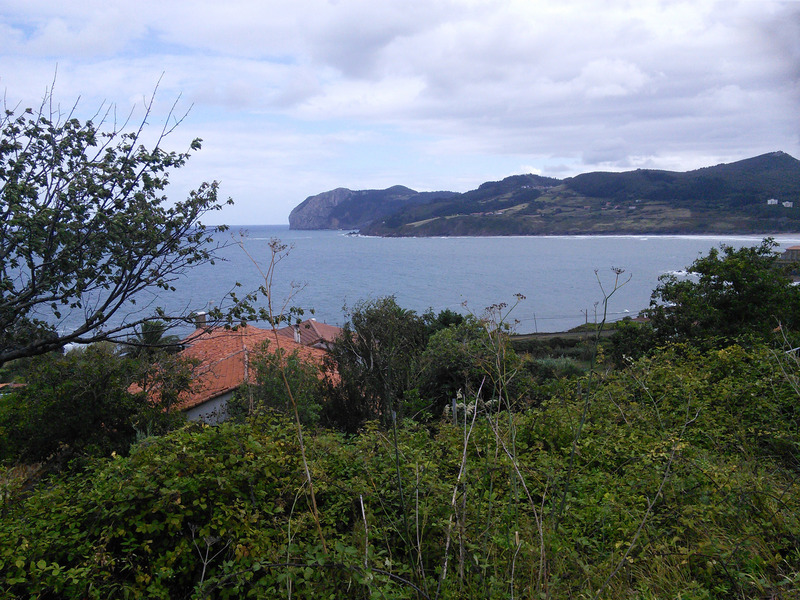 View of the Bizkaia coast from the village of Armintza farther west (where Alberto took us the last time we visited). Bill & Alberto last year in Armintza. After strolling around the quay, we stopped at a bar renowned for its olagarroa/pulpo. It was packed, so we sat at table outside, just as another downpour began. A family under an awning invited us to squeeze under the shelter with them, where we all watched the volume of rainwater accumulate above us, in case it spilled! It was great to catch up with Alberto and we were grateful that he took the time to bus all the way over from Lemoiz. Time to leave Gernika for Palencia via Bilbao. This entry was posted in España, SEF2016, Uncategorized and tagged climate, environment, pine beetle art, science, Spain, Travel. Bookmark the permalink.